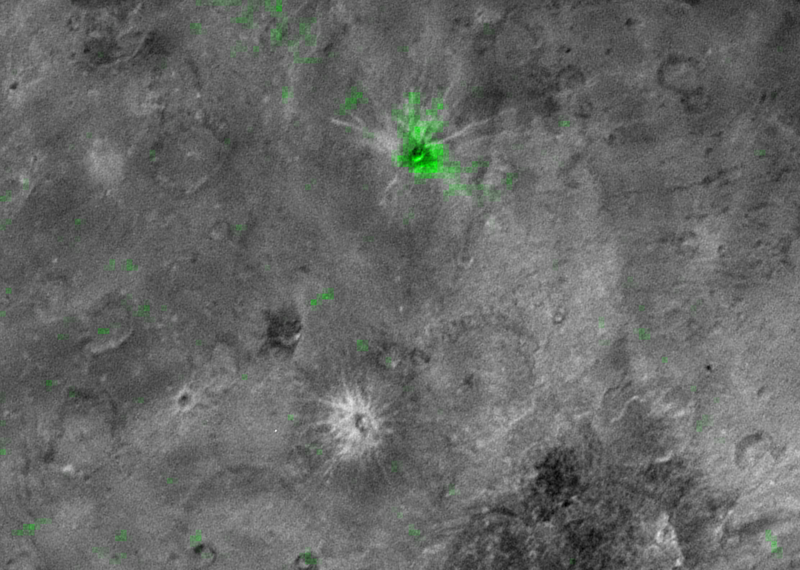 Astronomers have discovered a striking contrast between one of the fresh craters on Pluto’s largest moon Charon and a neighboring crater dotting the moon’s Pluto-facing hemisphere. The crater, informally named Organa, caught scientists’ attention as they were studying the highest-resolution infrared compositional scan of Charon. Organa and portions of the surrounding material ejected from it show infrared absorption at wavelengths of about 2.2 microns, indicating that the crater is rich in frozen ammonia – and, from what scientists have seen so far, unique on Pluto’s largest moon. 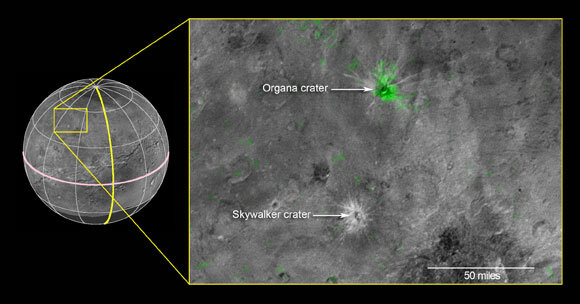 The infrared spectrum of nearby Skywalker crater, for example, is similar to the rest of Charon’s craters and surface, with features dominated by ordinary water ice. Be the first to comment on "Astronomers Reveal High Concentrations of Ammonia on Charon"